What are support and resistance … and why do they matter in the stock market? 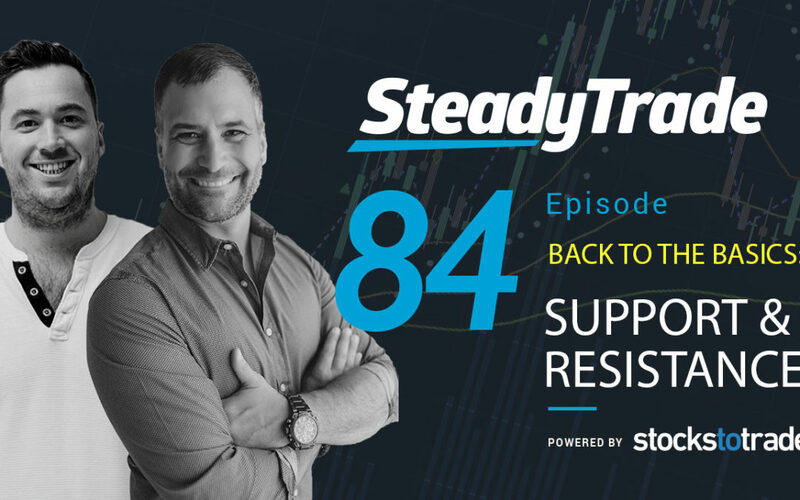 We’ve received multiple requests for an episode on support and resistance, and today’s the day Tim Bohen and Stephen Johnson tackle this important topic. You’ll gain insight via discussion, suggestions, and historical examples with charts. Since parts of the conversation are more visual, this is a great episode to check out on YouTube so you can see the specific chart examples. Before getting into support and resistance, Tim and Stephen have a conversation about another important topic: trader burnout. The struggle is real, and Stephen has been experiencing it lately. This can feel like a curse in trading, but as a part-time trader, there’s a silver lining. As Tim points out, trading part time can actually be very beneficial, because the beauty of day trading is that you don’t have to be there every single day. Every trader needs to hear this! Support and resistance: What’s the Deal? Support is the price level on a chart where downtrending stocks tend to pause, not dipping below. This is because there’s a certain level of demand that keeps the stock price from going below. Resistance, on the other hand, is the price level where stocks tend to hit their head on the ceiling. This is because a certain amount of sellers keep it from going above that line. In essence, these support and resistance lines are like the floor and ceiling that the stock is bouncing up against. But sometimes, it will break through one of these levels, and this is where traders can potentially find great opportunities. As a trader, how can you use support and resistance to inform potential trades? 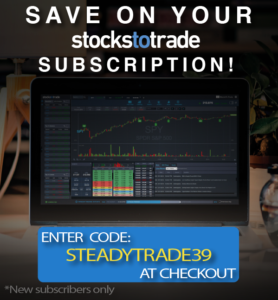 Tim and Stephen illustrate how support and resistance can be used with a recent example of a stock that challenged many a trader’s psychology recently and had everyone “losing their minds.” Is it one that you were chasing? Tim and Stephen discuss how support and resistance can tell traders a lot about a potential play, including what it means when a stock’s price is re-breaking key levels, and how to determine if it’s a classic multi-week breakout pattern. In viewing the chart and listening to the discussion, you’ll get an education on how to take support and resistance into account when considering whether or not to take a position. What chart should you look at? While Tim typically sticks with a 1-year chart, there are times when you need to go back further and evaluate more of the stock’s past performance. Stephen talks about the benefits of using the intraday chart and what to look at when a stock is breaking new levels. You’ll learn how to compare short term and long term results to get a bigger picture of what the stock might do in the future. Beware high-float runners: If a stock has a huge float, you don’t want to hold your breath waiting for any big moves. It takes so much power and so many buyers to move a high float stock’s price that it’s like rolling a rock up a steep hill. Unless it’s clear that the stock is breaking new levels, there may not be enough momentum to push through the long-established support and resistance. Volume matters: It’s important to take volume into account when looking at potential breakouts. How much volume is there, and how much volume is being consistently held? Just because a stock has good volume now doesn’t mean it will always be the case. You’ll learn why it’s a good idea to look back at the volume during any past spikes with a stock, and what traders can infer from high or low volume. Is it a clean chart? How can you tell if a stock is a breakout versus one that’s going to spike then fail? Tim and Stephen explain the difference and offer some helpful tips for figuring out which scenario is unfolding, including looking for strong news catalysts and more. Do you have a question or comment on the episode? Drop it in the comments below, or on YouTube! Thank you again for another great podcast. Yes I enjoy seeing the visuals along with the commentary as it helps that all the comments you are making, makes much more sense. I always seem to learn more with visual aids so I enjoyed this episode very much. I enjoy all of the episodes but especially this one.